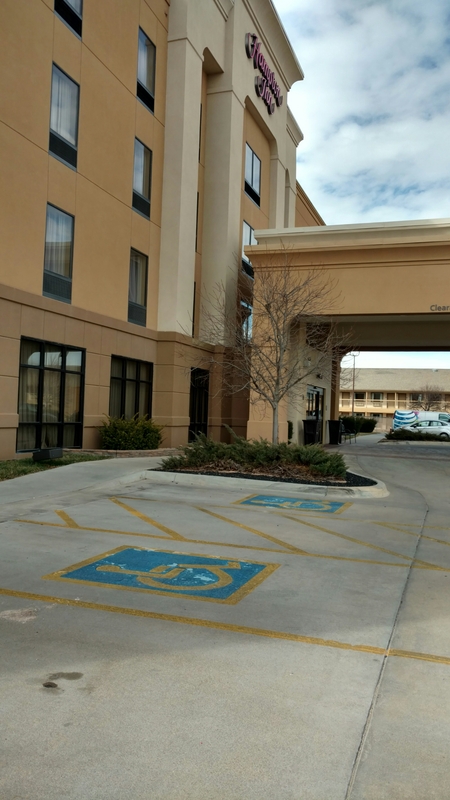 This location is a typical Hilton Hampton Inn property. Nothing really special but a nice up to date location. I would rate it as the second best hotel in this area. 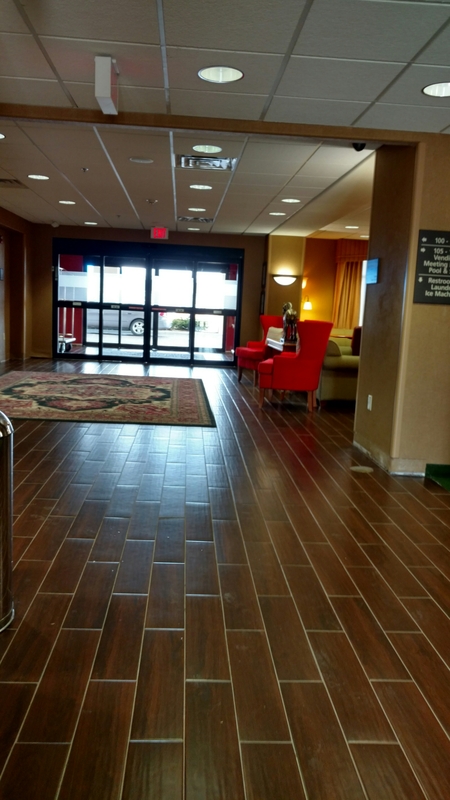 There is a newer Marriott Townplace hotel nearby that I think is slightly better. 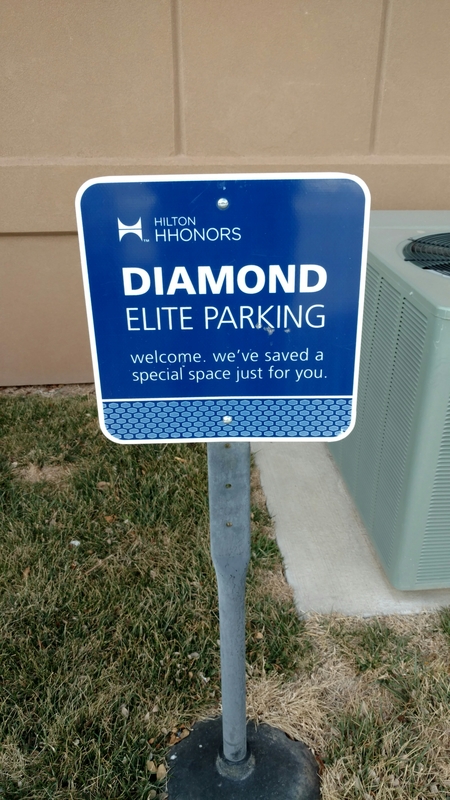 This Hilton Diamond sign was the only welcome I got as a Diamond Hilton guest. I’ll see if the Diamond welcome points ever post. This is sad as this stay is one of a few I am testing with Hilton properties this year to see if it’s worth keeping any loyalty with this chain. Good clean room. 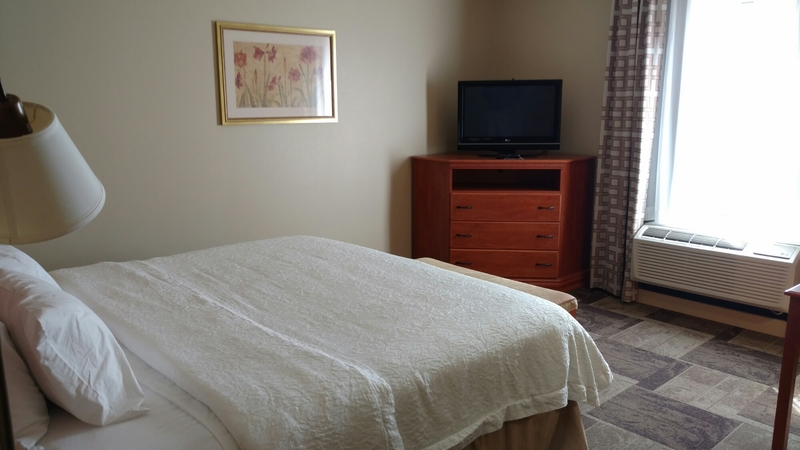 Well located with IHOP, Target, Burger King and taco Bell within a few hundred feet of hotel. Staff is efficient and nice but lack any elite recognition in my experience here. I don’t expect much but at least saying thanks for being Diamond would be enough. I also wasn’t very impressed with the evening reception food. Not sure what I expected but it just seemed a bit weak and forced. I’d rather they just skip it and have cookies in the lobby I think. I sound critical but don’t mean to. This was a service and property test for me. I travel to this rural area for business a few times per year. I haven’t been that excited with the nearby Holiday Inn Express which is dated. 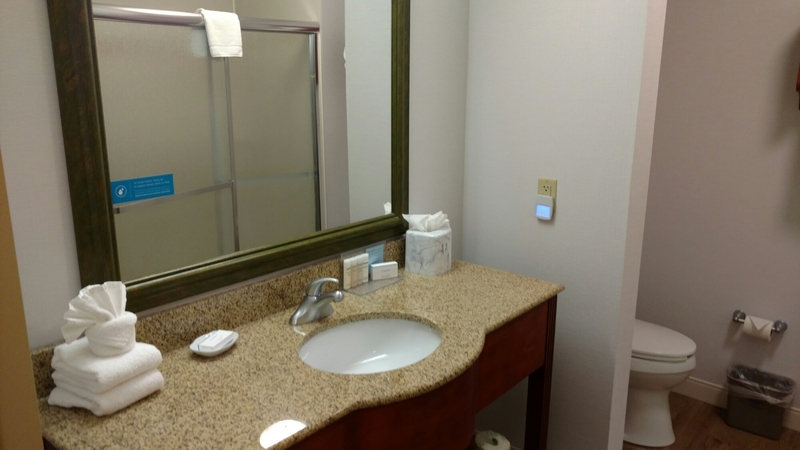 I really like the Townplace hotel but I have little status (Silver) with Marriott. So this was just a property test. Features of hotel I like include the indoor pool and breakfast that starts at 6am. 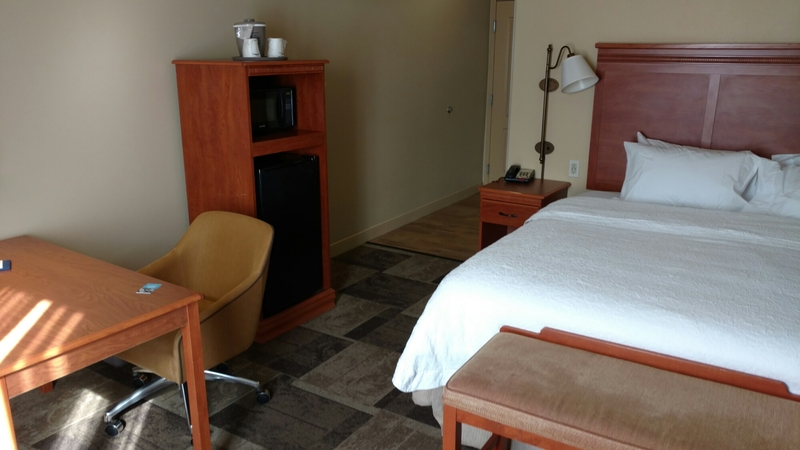 Features I don’t like are the thin walks, poor desk chairs that aren’t very ergonomic, doors that seem to slam more than other hotels and the tiny TVs. Feature I hate the most…Fitness room isn’t open 24 hours. This is a deal breaker for me. I doubt I’ll come back over this. I know this seems minor but as a runner visiting in the winter I was very disappointed.